The first volume in a major new series, this book will be an essential read for all those who need to deal with the causes and consequences of rapid technological change in an increasingly globalized world, whether they be government policy-makers, managers of multi-national corporations, commentators on the international scene or specialists in and students of international politics, economics and business studies. * How do we think about technology and international relations/international political economy? 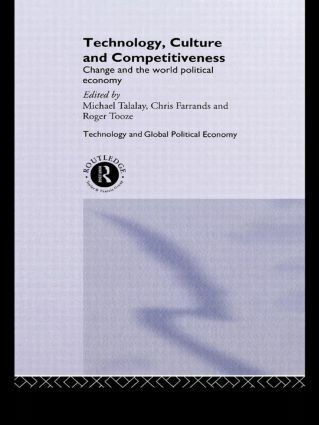 How does technology relate to competitiveness? How does it inlfuence our culture and how is it influenced by it? * In what sense is technology a fundamental component of national competitive advantage and what ought national, local and corporate policy to be in the light of this? * What is the relationship between technological innovation and global political and economic change? Technology is discussed not just in an instrumental sense - as a tool of power and an object of policy - but equally in a transcendental sense - as a key to shaping and structuring how we understand and interpret reality. The final section of the book presents case studies of three core sectors of the world political economy, finance , aviation and automobiles. The end of the dinosaurs?